Ninety-five UK councils have had home care contracts cancelled by private companies struggling to deliver services on the funding offered, an investigation has found. As a result, a quarter of the UK’s 2,500 home care providers were at risk of insolvency, and almost 70 had closed down in the past three months, according to the BBC’s Panorama programme. The agencies – which provide help for people living independently at home – also struggled to recruit and retain staff, Panorama reported. G-Zero Book // it has become unavoidably obvious that the transition toward a leaderless world is now complete. The G-zero era I first predicted nearly six years ago is now fully upon us. No matter how long Trump remains in the White House, a crucial line has been crossed. The fallout will outlive his presidency, because Trump has proved that tens of millions of Americans like this idea. Big re-adjustment to come for UK economy! 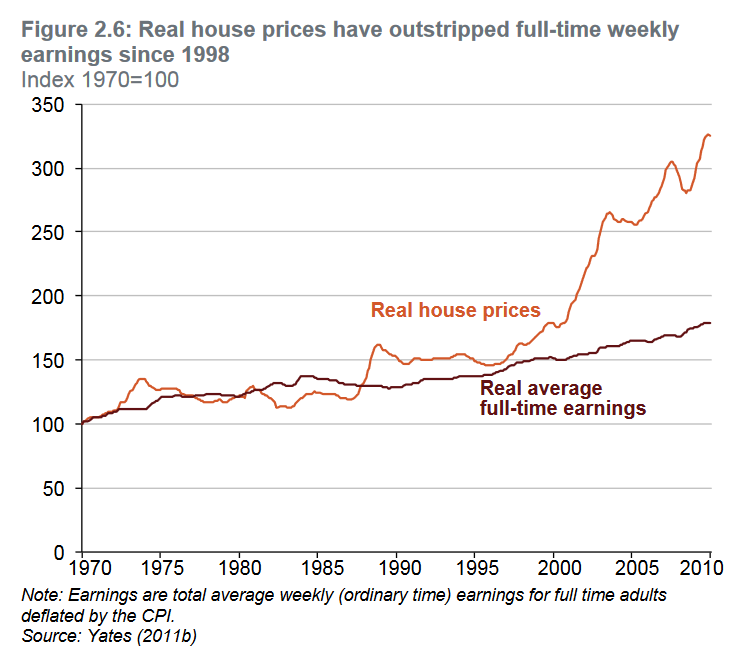 Not since the 1860s have the UK worker experienced falling real earnings over a ten-year period. [...] credit helped the country along for decades. When Margaret Thatcher was prime minister, amid the triumph of Soviet collapse, an aide slipped Mr Fukuyama’s essay on history into her papers. The next morning she declared herself unimpressed. Never take history for granted, she said. Never let up. For liberals today that must be the rallying cry. //&! https://soundcloud.com/theeconomist/tasting-menu-audio-highlights-from-the-july-2nd-2016-edition //&! https://www.project-syndicate.org/commentary/the-politics-of-anger-by-dani-rodrik-2016-03?barrier=true - History never quite repeats itself, but its lessons are important nonetheless. We should recall that the first era of globalization, which reached its peak in the decades before World War I, eventually produced an even more severe political backlash. CURRENT ACCOUNT DEFICIT ON THE BALANCE OF PAYMENTS: THE MOST DAMNING STATISTIC! The financial crisis of 2006/7 turned into a recession prolonged by a failure to manage monetary demand efficiently to achieve target inflation. With the failure of Lehman Bros interbank markets froze and banks stopped commercial lending. Since then a mixture of quantitative easing and distortingly low interest rates has only managed to create the illusion of a boom as bubbles have developed in property and other asset prices. Canada: Generation Jobless - https://youtu.be/4UUuMWqA8eE - "The Plight of Younger Workers" (Report).& underemployed graduates w fancy sounding degrees. [...] EDUCATION INFLATION! [...] an education does no more guarantee a comfortable middle class jobs, and parents are disappointed. [...] globalisation of workforce plus automation, robotics, AI, augmented intelligence. the new GM's and Toyota's and DuPonts need less and less workers to catch ever greater pies of the current and future economy. [...] rise of the project focused self-employed and the Gig Economy. //&! (USA) Invisible Reality; The Working Poor - youtu.be/806PSngTKgg //&! FULL STORY: Generation Poor - youtu.be/lB4w8MQPdEE //&! FULL STORY: The Labour Trap - youtu.be/cHBo3LgXUPA - precarious work is now more and more the norm. as well as exploitation of those conditions. bigger companies, more profitable products, with less people. // “It would be wrong to assume that increased job cuts are a sign of weakness in the tech sector,” Challenger, Gray & Christmas CEO John Challenger said in a statement. “The simple fact is that the industry is going through a transformation and companies either have to shift their focus or risk extinction. We will always need technology, but how we interact with it, as well as where and when we interact with it, are changing rapidly.” //&! http://recode.net/2016/04/19/intel-chipmaker-mobile-earnings-restructuring/ - Intel missed the mobile revolution. Now it faces its day of reckoning. A meeting of leading oil exporting countries in Qatar, called to address the low level of prices, has run into difficulties. Reports from Qatar's capital Doha, say the problem is tension between Saudi Arabia and Iran. The agenda for the meeting is whether to freeze production levels. GoPro Isn’t Doomed Yet. But they must become a software company, fast. GoPro needs software in spades, far beyond just something to make editing easier. The company that created the first mass-market visceral experience broadcasting device ought to have a hand in every dimension of the current live revolution, not just be one of its few cameras. That requires software. [...] Most consumers already have all the hardware they need to create video; what they need is software to make this infinity of images comprehensible. As the defensibility of hardware declines, GoPro has an advantage few other makers of software have: fans, tens or even hundreds of millions of them. never seen David Cameron red-faced, so much! [...] sold in 2010!? And what was before that time? The time he was a MP!? [...] we are not all in this together, for sure! // book the hidden wealth of nations. - 7-8trn tax evasion and avoidance - not taxed. //&! Rumble - Just like FDR - Bernie Welcomes the GE CEO Hatred... - youtu.be/jT7NIoDS1gw - taking advantage of the tax laws THEY MADE. gains are harder to come by! low hanging fruit gone. [...] VISION IS NEEDED TO GET THE JOB DONE. For example, as automation increases, computers and machines will replace workers across a vast spectrum of industries, from drivers to accountants and estate agents to insurance agents. By one estimate, as many as 47 percent of U.S. jobs are at risk from automation. Many experts suggest that the fourth industrial revolution will benefit the rich much more than the poor, especially as low-skill, low-wage jobs disappear in favor of automation. But this isn’t new. Historically, industrial revolutions have always begun with greater inequality followed by periods of political and institutional change. The industrial revolution that began at the beginning of the 19th century originally led to a huge polarization of wealth and power, before being followed by nearly 100 years of change including the spread of democracy, trade unions, progressive taxation and the development of social safety nets. Where are all the Americans in the Panama Papers? Resentment of a financial elite has been simmering for years. Now the biggest-ever leak moves the focus to politicians. Tackling tax avoidance is the only way to restore trust. On the surface, the March jobs reported was better than expected... except for manufacturing workers. As shown in the chart below, in the past month, a disturbing 29,000 manufacturing jobs were lost. This was the single biggest monthly drop in the series going back to December 2009. But not all is lost: as has been the case for virtually every month during the "recovery", virtually every laid off manufacturing worker could find a job as a waiter: in March, the workers in the "Food services and drinking places" category, aka waiters, bartenders and minimum wage line cooks, rose again to a new record high of 11,307,000 workers, an increase of 25K in the month, offsetting virtually all lost manufacturing jobs. This is how the two job series have looked since the start of 2015: 24k manufacturing jobs have been lost in the past 14 months compared to an increas of 365K food service workers. Während der Rest der Welt kräftig Geld in erneuerbare Energien steckt, sind die Investitionen in Deutschland deutlich zurückgegangen. Die Schwellenländer überholten erstmals die Industriestaaten. Do you wonder why the 'Troika' persists in its privatisation agenda despite the evidence of its failures and the growing economic and social costs? deprived areas have low tax base to fund welfare and social care, and w demographic bubble, less income tax receipts. this is a double whammy to fund demand of babyboomers. // In a paper to councillors, officers quote research such as a London borough council's "Graph of Doom" showing the effect of spending cuts on services. The Highland officials also make reference to political commentators describing a period of "perma-austerity" for local government. They recommend that the council reviews its priorities. Dropbox has quietly hired two enterprise sales veterans, part of a broader push to gain big corporations as customers. Die schwächelnde Nachfrage aus den Schwellenländern hat 2015 zum schlimmsten Jahr für den Welthandel seit dem Ende der Finanzkrise werden lassen. Die Nachricht schürt wachsende Besorgnis über die Entwicklung der Weltwirtschaft. growth at all cost - is gone. // What's the math? - "Hype Smoothie" - how mutual funds and private equity value their investments? Weltwirtschaft: Ökonomen halten Ende des Wachstums für unvermeidlich [...] Ein Beispiel: Wenn das Bruttosozialprodukt eines Landes 10 Milliarden Euro beträgt und um eine Milliarde Euro wächst, dann entspricht das einer Steigerung von zehn Prozent. Wenn das BIP aber 1000 Milliarden Euro beträgt, dann müsste die Wirtschaft schon um 100 Milliarden Euro wachsen, um ein Wachstum von zehn Prozent zu schaffen. Wächst das BIP wie vorher um eine Milliarde Euro, entspricht das nur noch einer Steigerung von 0,1 Prozent. Die Wirtschaft wäre dann sozusagen ausgewachsen. Die alten Zeiten kehren nicht mehr zurück [...] Sollten die Ökonomen recht haben, hätte das für Staat und Sozialsysteme einschneidende Folgen: Die Planung von Bundeshaushalt oder Rentenkasse geht von einem Wachstum irgendwo zwischen ein und zwei Prozent pro Jahr aus. [...] Die Wirtschaft "unabhängiger vom Wachstum gestalten"